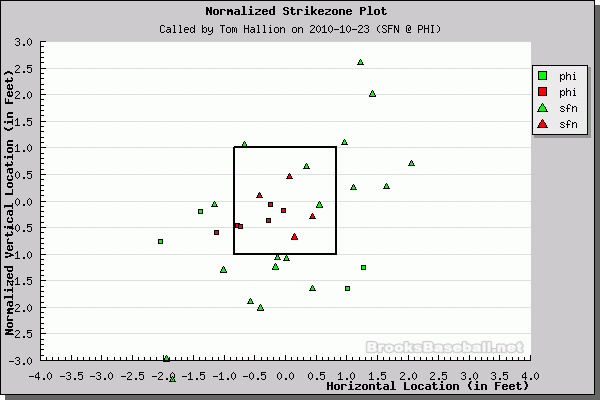 This is the strikezone plot from the first two innings of the NLCS Game 6 in 2010, Roy Oswalt vs. Jonathan Sanchez. Sanchez has calmed down a bit, while Oswalt has given up a couple of hits. It’s 2-2 in the 3rd inning.